Memento Mori explores how theatre, performance and the cultural practices of death bring mortality to mind, enabling us to reflect upon our own lives and the lives of those departed. Performance equally struggles with the passing of its own event and the complex archival activity that stands in place of its vanishing. Despite our best attempts at seriousness and respect issues of death and dying provoke grim humour, sensationalist performances and slapstick comedy. 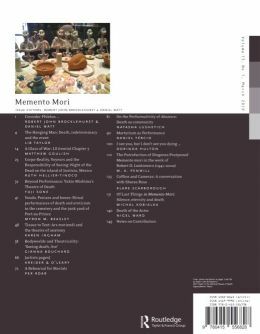 This issue questions how and why we attempt to negotiate the processes of death and dying or find representations and memorialisations that attempt to normalize the inevitable. 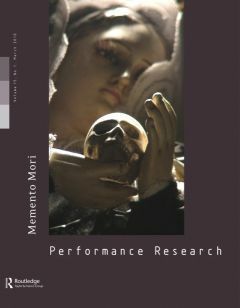 Memento Mori includes a range of critical and photographic essays, artist’s pages and interviews, that explore the ways in which death and the cultural practices that surround it are represented and memorialised in social and private spaces, from theatre to everyday ritual.